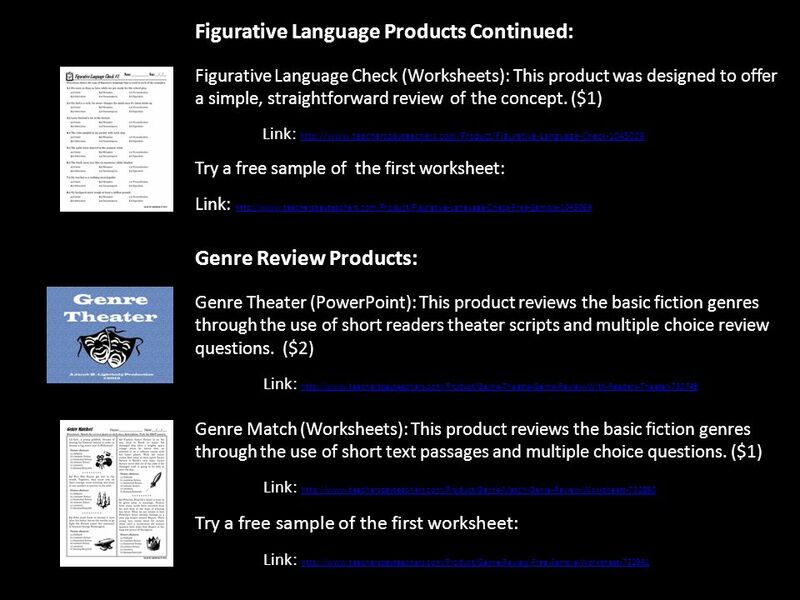 The Figurative Language Review Volume #0 Fifteen Review Questions Free FIGURATIVE LANGUAGE MAKES WRITING MUCH MORE INTERESTING ! ! ! ************ In This. 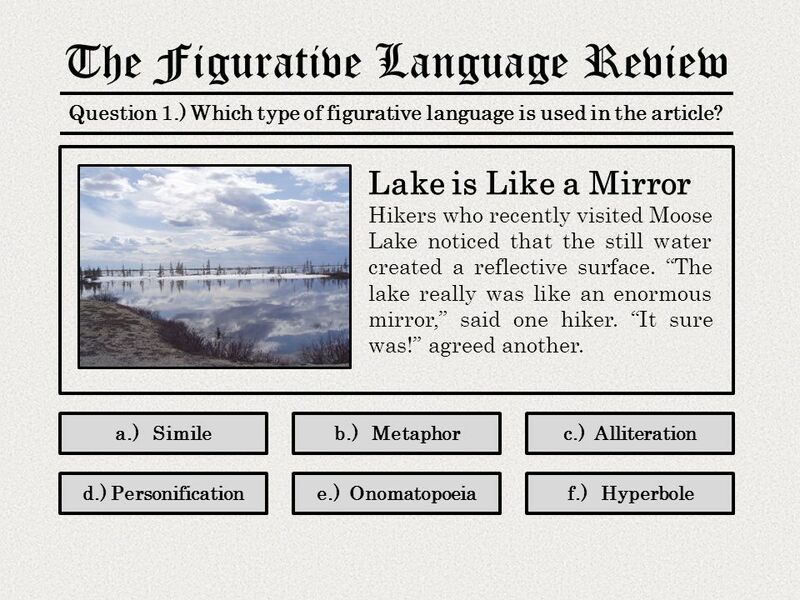 6 The Figurative Language Review Question 2.) 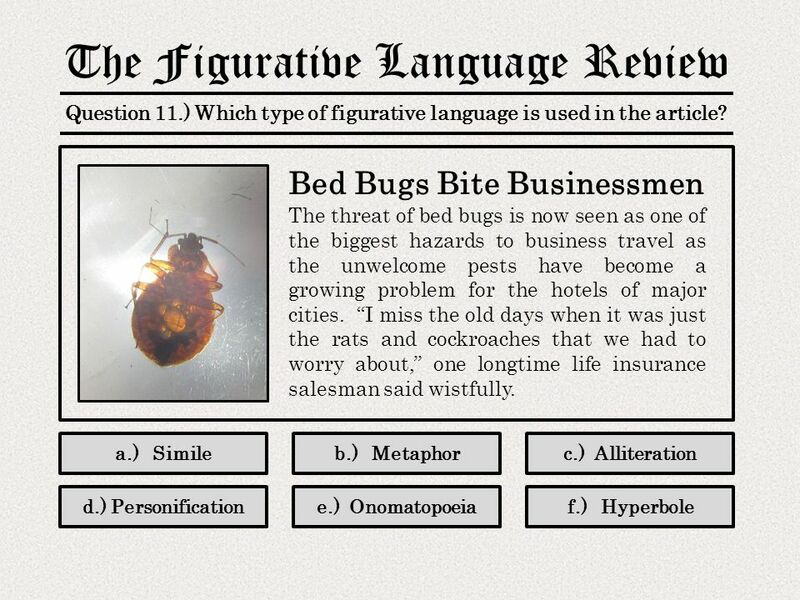 Which type of figurative language is used in the article? a.) Similec.) Alliterationb.) Metaphor d.) Personificatione.) Onomatopoeiaf.) Hyperbole Pizza Slice Called to Dieter Gary Barnes was planning on having a salad for lunch until his boss ordered pizza for everyone in the office. “I knew that I should have stuck to my diet, but I heard the pizza slice call my name,” Mr. Barnes said. 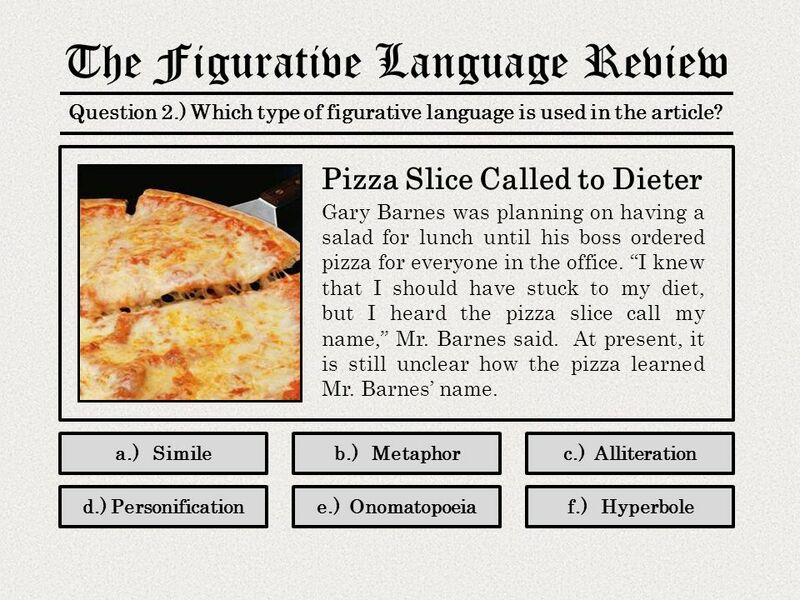 At present, it is still unclear how the pizza learned Mr. Barnes’ name. 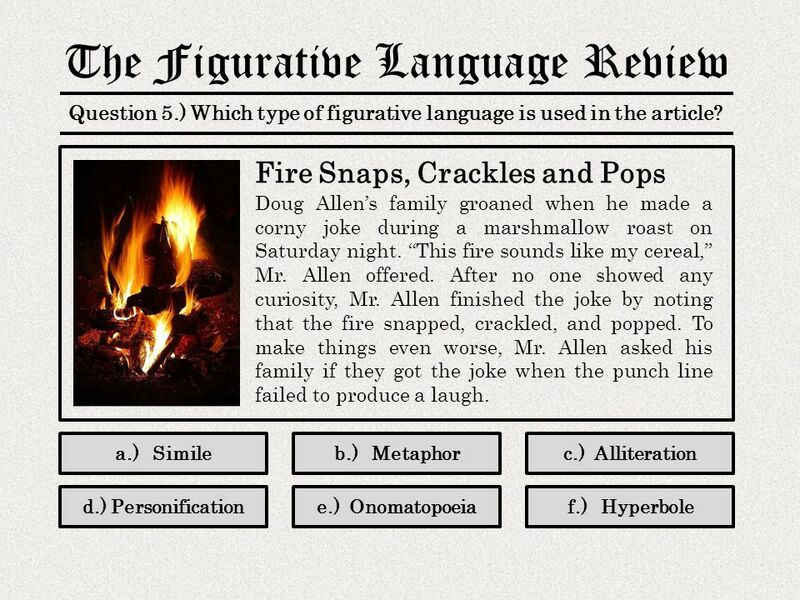 9 The Figurative Language Review Question 3.) 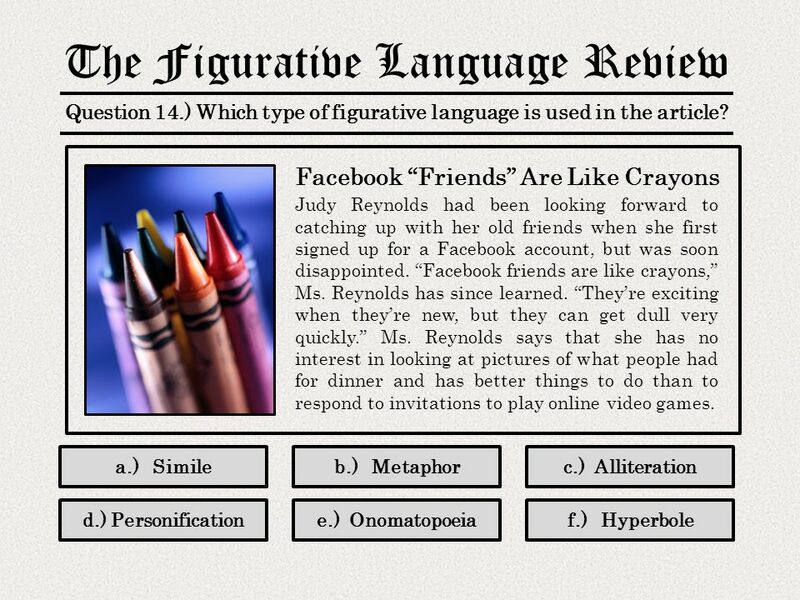 Which type of figurative language is used in the article? a.) Similec.) Alliterationb.) Metaphor d.) Personificatione.) Onomatopoeiaf.) 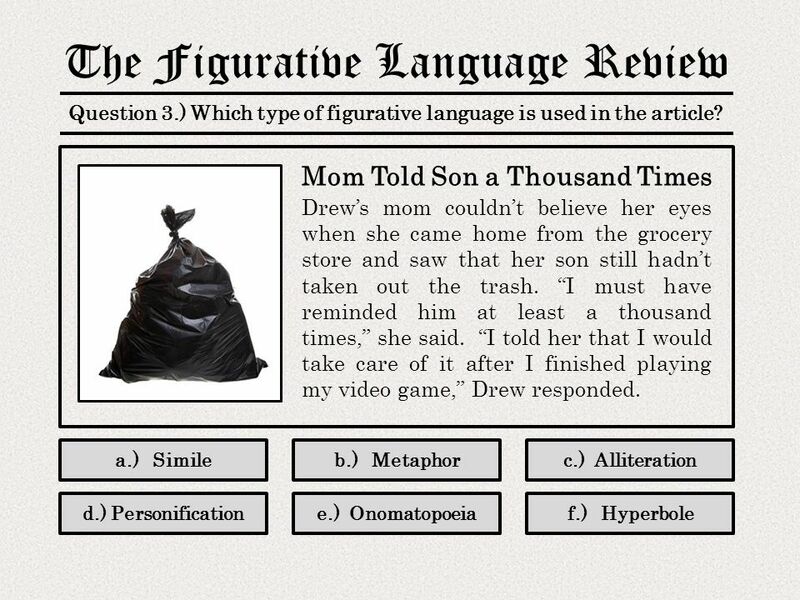 Hyperbole Mom Told Son a Thousand Times Drew’s mom couldn’t believe her eyes when she came home from the grocery store and saw that her son still hadn’t taken out the trash. “I must have reminded him at least a thousand times,” she said. “I told her that I would take care of it after I finished playing my video game,” Drew responded. 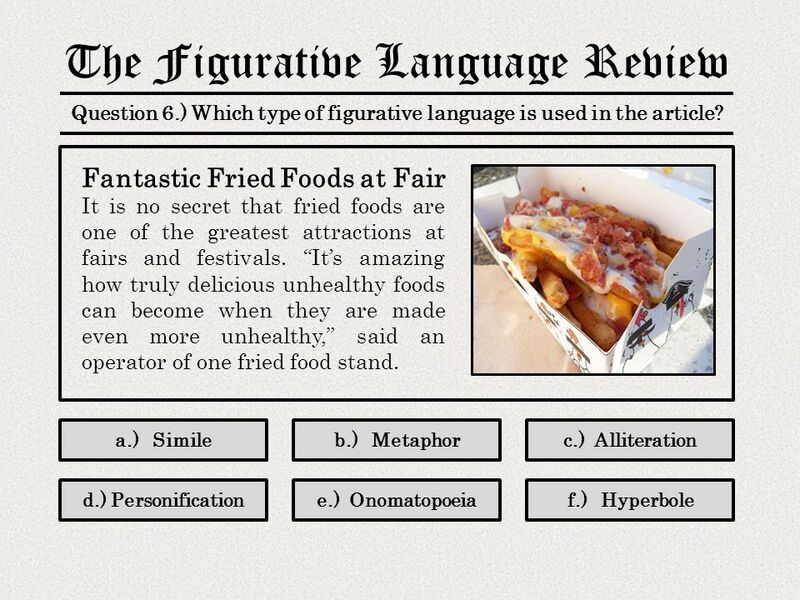 15 The Figurative Language Review Question 5.) 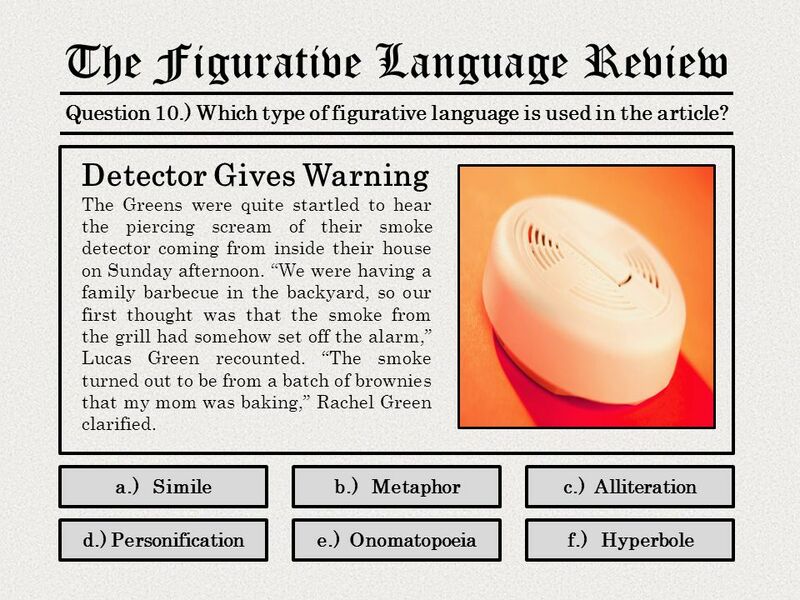 Which type of figurative language is used in the article? a.) Similec.) Alliterationb.) Metaphor d.) Personificatione.) Onomatopoeiaf.) Hyperbole Fire Snaps, Crackles and Pops Doug Allen’s family groaned when he made a corny joke during a marshmallow roast on Saturday night. “This fire sounds like my cereal,” Mr. Allen offered. 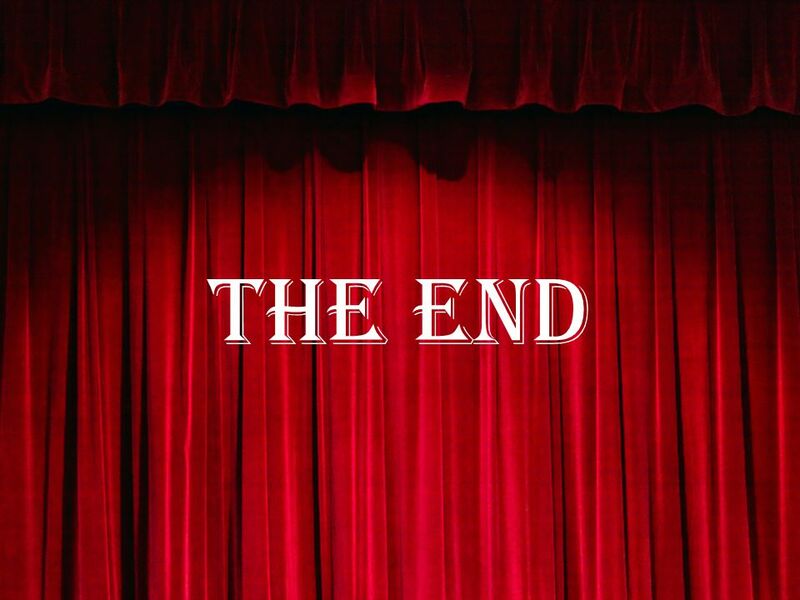 After no one showed any curiosity, Mr. Allen finished the joke by noting that the fire snapped, crackled, and popped. To make things even worse, Mr. Allen asked his family if they got the joke when the punch line failed to produce a laugh. 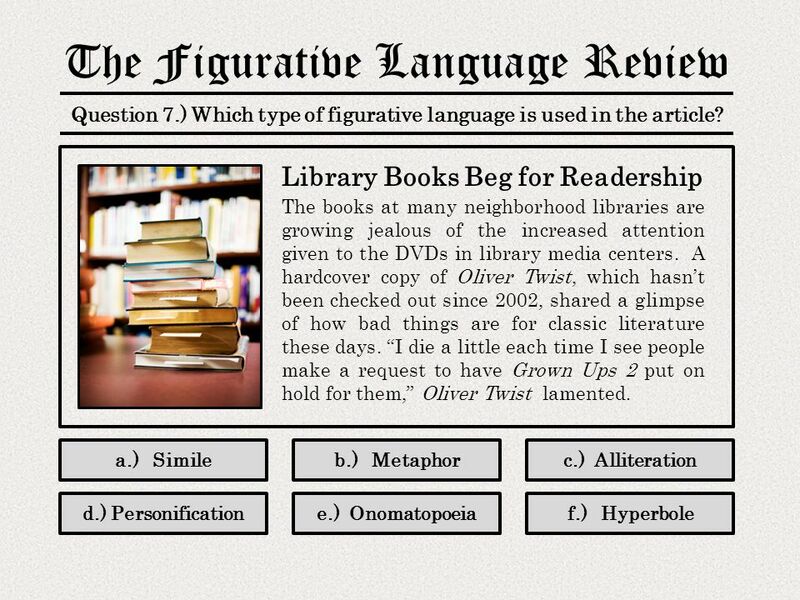 21 The Figurative Language Review Question 7.) 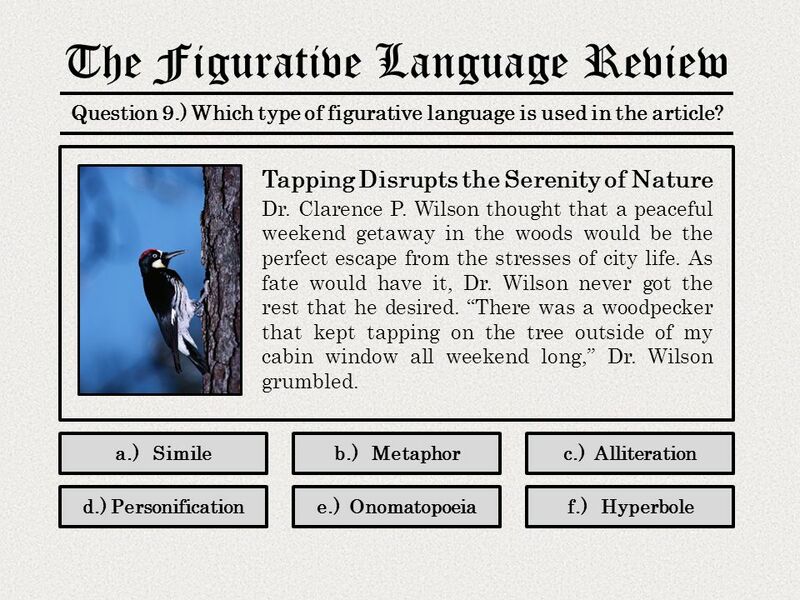 Which type of figurative language is used in the article? a.) Similec.) Alliterationb.) Metaphor d.) Personificatione.) Onomatopoeiaf.) Hyperbole Library Books Beg for Readership The books at many neighborhood libraries are growing jealous of the increased attention given to the DVDs in library media centers. A hardcover copy of Oliver Twist, which hasn’t been checked out since 2002, shared a glimpse of how bad things are for classic literature these days. “I die a little each time I see people make a request to have Grown Ups 2 put on hold for them,” Oliver Twist lamented. 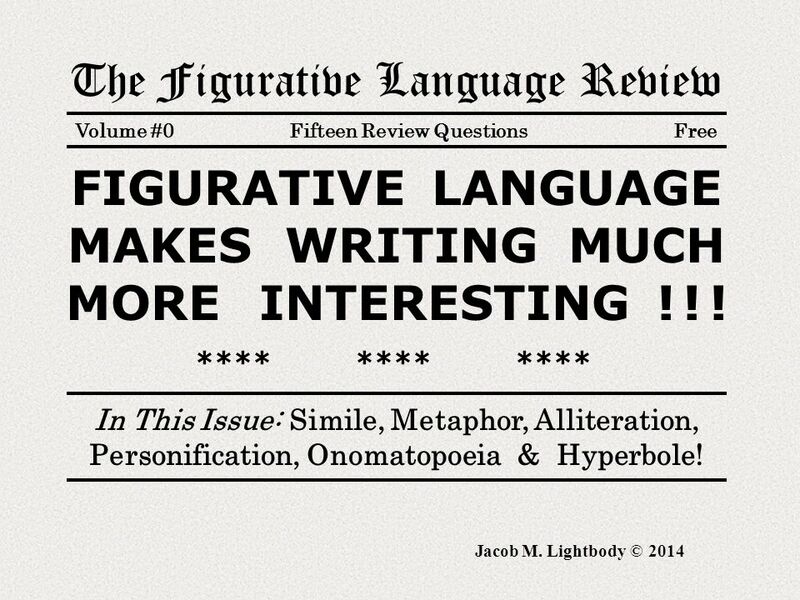 45 The Figurative Language Review Question 15.) 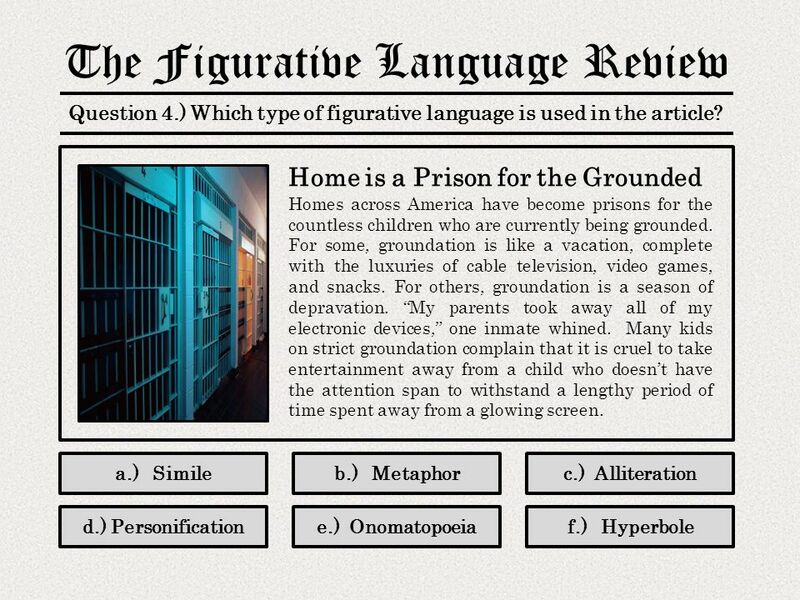 Which type of figurative language is used in the article? a.) Similec.) Alliterationb.) Metaphor d.) Personificatione.) Onomatopoeiaf.) 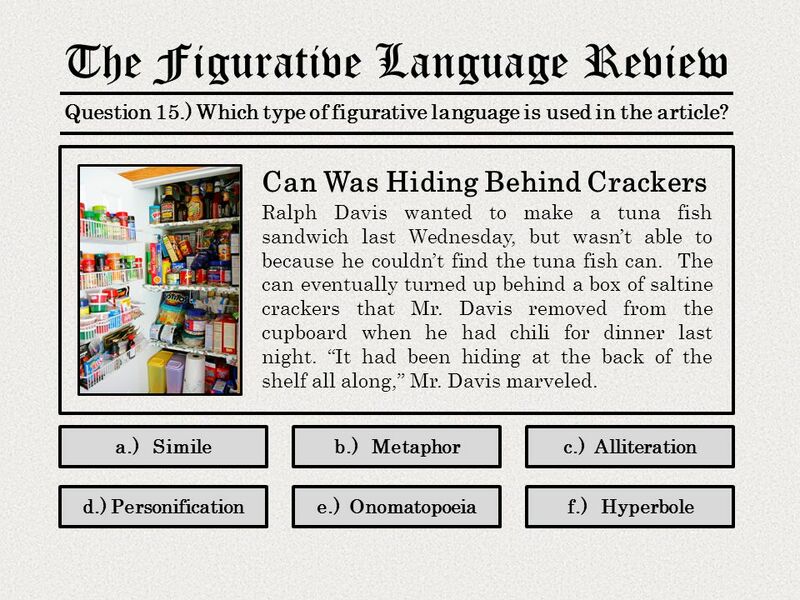 Hyperbole Can Was Hiding Behind Crackers Ralph Davis wanted to make a tuna fish sandwich last Wednesday, but wasn’t able to because he couldn’t find the tuna fish can. The can eventually turned up behind a box of saltine crackers that Mr. Davis removed from the cupboard when he had chili for dinner last night. “It had been hiding at the back of the shelf all along,” Mr. Davis marveled. 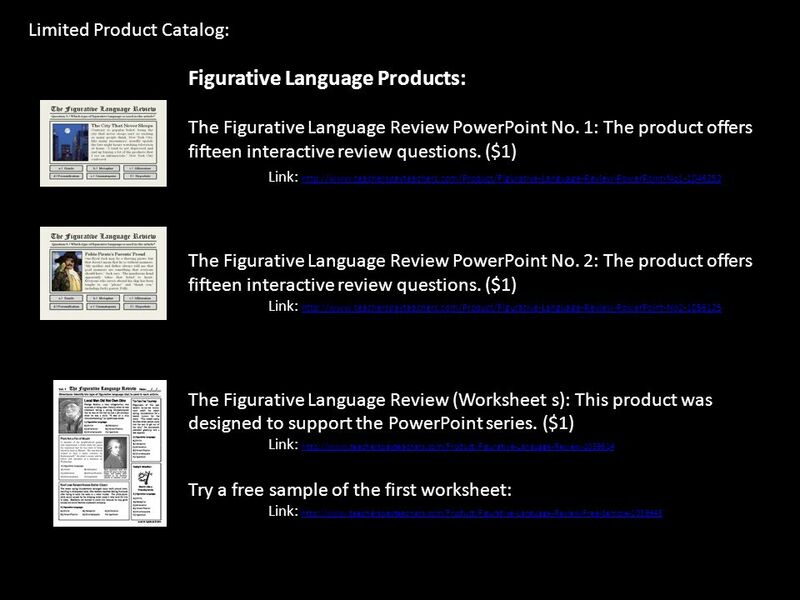 Download ppt "The Figurative Language Review Volume #0 Fifteen Review Questions Free FIGURATIVE LANGUAGE MAKES WRITING MUCH MORE INTERESTING ! ! ! ************ In This." 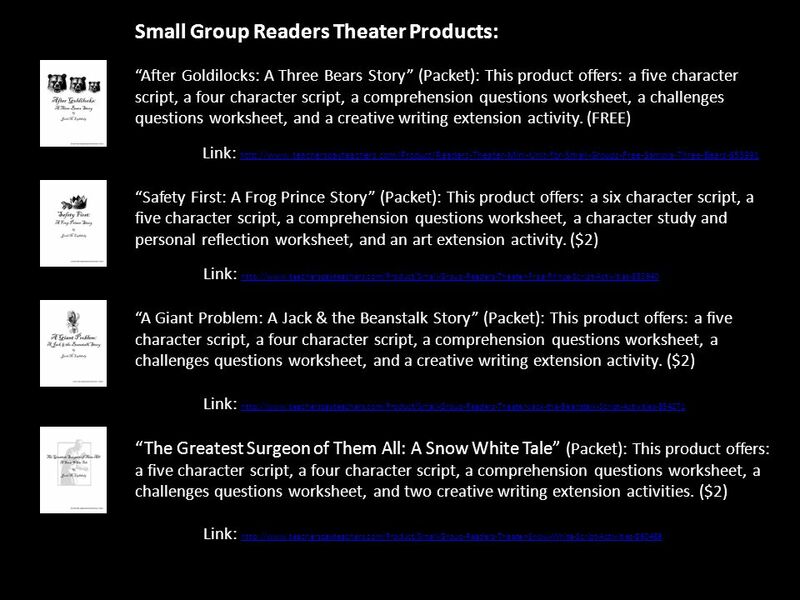 ACTIVE READING STRATEGIES. GOOD READERS THINK WHILE THEY READ. The Night Mrs. Stupak’s Class was Locked in the School! by Mrs. Stupak’s Students. Map. Map Chapter 1 Molly and Michael were brother and sister. Their mom had just married a man named Dave. Dave had a daughter named Heather. Mom Dad. PCS Champions The when “everything is fine” appointment. Inanimate Alice Click on the arrows to proceed and need full sound turned on. 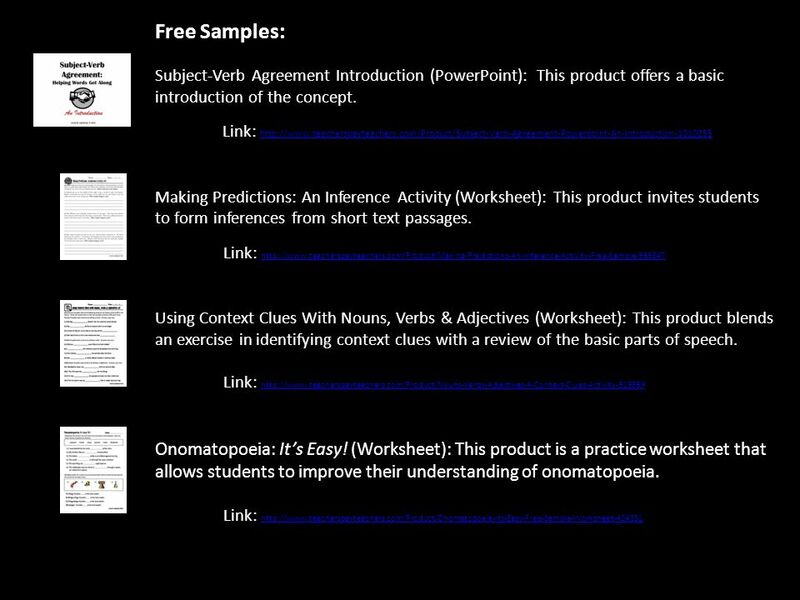 Subject-Verb Agreement: Helping Words Get Along Jacob M. Lightbody © 2014 An Introduction.